“Stable Ghost”. On a more serious note with animals, I strolled past the stables after a local horse race. 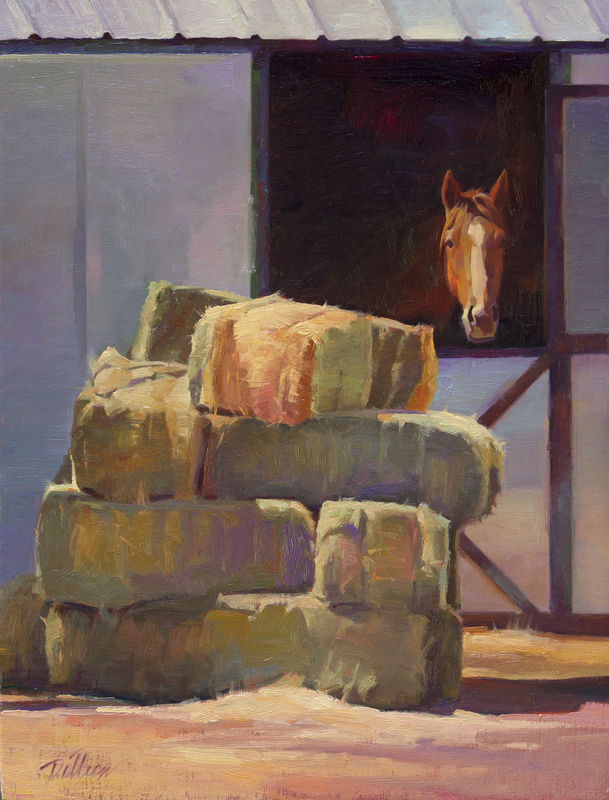 The haystack was a beautiful blend of shadow and varied color hay grasses. The stable window was empty and intriguingly dark. I was pleased to get a photo of this horse, resting after the race, a few windows down.